21 years have passed since the first iteration of a social network in the late 90s with Six Degrees. Today, social media is a very different place. Social media usage among internet users is almost universal, but there are certain traits that set the most engaged networkers apart from those just passing through. Our latest research reveals the key differences to know. 1. They favor social media to traditional news sources. Social media has transitioned to become a go-to source for news in the past few years. This is especially true for Avid Social Networkers, i.e. those who spend more than 2 hours a day visiting social platforms. 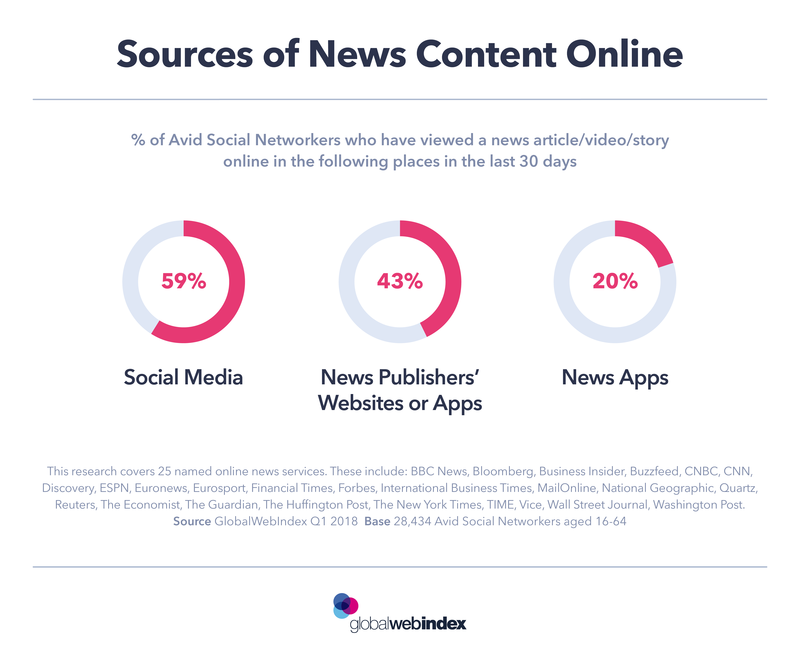 Across 25 tracked online news publishers, 6 in 10 of these most engaged social networkers say they’ve seen these publishers’ stories or videos on social media in the last month. This puts the medium ahead of the publishers’ own websites and apps (at 43%), while moving aggregated news apps to the bottom of the list. As they’re spending more time daily on social media, it makes sense that these avid networkers are more likely to be consuming news there. But they’re also ahead for following news organizations and journalists on their accounts, showing their initial intention to use social as a source for news content, alongside friends’ updates and other entertaining content. This proves how shareability has evolved on social media towards public discussions, providing an ideal forum for catching up with current affairs with a 360-degree view. The social media giants have more than acknowledged this too; Twitter is partnering with Bloomberg on its 24-hour live-streamed news coverage network “TicToc”, while Facebook is putting a lot of effort into its relationship with news publishers. 2. They’re more likely to shop sustainably. As vital sources of news about events and issues, social platforms have become key to raising awareness around environmental issues. The issue of plastic waste is well-documented and shared across social media, for example, and there have been a number of high-profile campaigns on the subject – including Sky’s #PassOnPlastic and the #BeatPlasticPollution movement for World Environment Day. Most Avid Social Networkers have a greater awareness around sustainability, and are actually more likely to act on it. Our latest research shows as many as 62% would pay more for sustainable/eco-friendly products, compared to just 38% of non-users of social media. They’re also considerably more likely to want brands to offer these products, and to say that they aim to buy organic or natural products when shopping. This creates an opportunity for brands to re-evaluate their eco-credentials, and social media provides the perfect place to communicate such sustainability initiatives. We also see the most engaged social networkers have defining attitudes and values that pave new ways for brands to engage and interact with them. Staying on top of the latest trends and selling their brand as one that considers environmental impact should help to set brands apart. For those who get this audience on side, they can benefit from this group’s loyalty and advocacy, causing a ripple effect for organic reach. 3. They value travel and culture. Most Avid Social Networkers are a ‘cosmopolitan’ audience. Alongside a keen eye for news from around the world, they like to travel and learn about different countries and cultures. This group is 24% more likely than non-users to be holidaying abroad every 6 months, and they’re equally likely to want to work and live abroad. This highlights how social platforms can be ‘eye-openers’ and inspiration for this audience to want to see the world. We know that a great deal of users head to social platforms for holiday ideas. The good news for travel brands is there’s a great deal of user-generated content already out there. 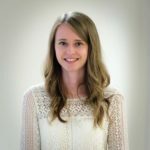 A lot of holidaymakers share hashtagged holiday snaps and experiences at certain locations across social media – whether that’s sharing their hotel room on their Instagram story, or complaining about airline delays on Twitter, making it the first go-to medium across the board for holidaymakers. The sharing of experiences through user-generated content has the potential to make or break a brand in a category like travel. 3 in 10 Avid Social Networkers say they come across new brands via recommendations seen on social media. Expedia is one brand to capitalize on the power of user-generated content. Its #EyeWanderWin travel photography contest called for the best travel images in exchange for the chance to win a free trip. The campaign generated over 4,300 authentic photos for the brand to use in its marketing, and allowed it to localize its online experiences. The social media usage of these consumers is embedded in their day-to-day lives, and for this reason, understanding more about the habit that has become the ‘norm’ will enable brands to cut through the noise these users are accustomed to scrolling past. Avid Social Networkers are defined as those who spend more than two hours a day on social media.